Reminder on Important Due Dates. Including RSS Annual Meeting Call for Papers, Diversity and Student Travel Awards, Graduate Student and Needs-Based Travel Award, RSS Awards, RSS MS, PhD, and Early Career Research Award, Community, Family, and Health Paper Competition, and NRRIG Awards. RSS eBulletin Issue 106, January 2019. 2019 Call for Papers, Posters, and Organized Sessions, Award Announcements, Other Announcements, Member Publications, and Employment Opportunities. RSS eBulletin Issue 105, December 2018. 2019 Rural Sociological Society Annual Meeting, 2019 Call for Papers, Posters, and Organized Sessions, 2019 Diversity Travel Award, 2019 Graduate Student and needs-Based Travel Award, 2019 Call for Submissions: Rural Sociological Society Awards, 2019 Rural Sociological Society MS, PhD, Early Career Research Award Competition, Natural Resource Research and Interest Group (NRRIG) Award, Announcement, Member Publications, and Employment Opportunities. RSS eBulletin Issue 104, November 2018. 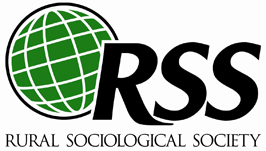 2019 Rural Sociological Society Annual Meeting, RSS 2019 Call for Nominations, Announcement, Meetings of Interest, Member Publications, Employment Opportunities, and Call for Papers. RSS eBulletin Issue 103, October 2018.